Sunday lunch remains something of a sacred favourite in Ireland. It’s perfectly acceptable to make a stab at a sophisticated, European experience for a Saturday lunch – various bean salads or rocket and spinach based fish dishes or pretentious risottos accompanied by rustic, crusty breads are all very well on a Saturday – but Sunday lunch is all about a roast. Some cooks favour chicken, others consider it a non event unless it is beef and then there is lamb, which still has the power to divide and polarise. The gravy is also hugely important, and potatoes always play a large part, with some even serving them in several forms. It’s never surprising in Ireland to find mashed potato, roast and even croquet potatoes on the same plate. And if serving beef, a cook could stand or fall on the quality of the accompanying Yorkshire pudding. But the first thing to get right is the type of joint. 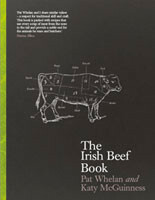 If it is beef, make sure it is rib or sirloin or at least a suitable cut for roasting. Ask your butcher if you’re not sure. 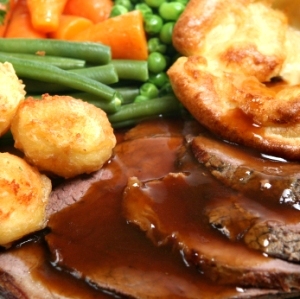 There are two schools of thought on roasting: cook the meat from start to finish at a consistent medium temperature, which produces a juicy, evenly-cooked roast; or put it in a very hot oven to start, and then lower the temperature for the remainder of the cooking time, which helps brown the roast and its juices. Always let the meat warm up to room temperature for at least an hour or two before putting it in the oven. Preparing the meat is also worth considering. With a chicken I would always make sure the skin is dry to the touch and then generously butter it while also placing knobs of butter at the leg and wing joints. A sprinkling of salt and pepper never goes astray at this point either. With lamb I have always found success with making small slits in the surface and sticking in a slice of garlic and a sprig of rosemary at measured intervals. When it comes to beef the least I would do is dust the fat surface with a mixture of flour and mustard powder. Again none of the above is really necessary but adds to the overall finished dish. I like to baste meat, even if it is supposedly self basting, but always remember that every time you open the oven door you are affecting the temperature, so you’ll need to take this into account when calculating the overall cooking time. And finally, rest, rest, rest! (And I don’t mean take a seat and enjoy a glass of wine; we’re talking about the joint.) This is vital regardless of the meat you are serving. Take the meat from the oven and let it rest for a minimum of 20minutes before carving or serving. A roast dinner is all in the planning and preparation, but once underway it is actually much easier to cook than most people think. While I love to embrace and experiment with new food ideas, we should never loose sight of the value of a roast dinner enjoyed by family and friends. The memories will last forever and are therefore worth every minute of the preparation.